The Peoples Democratic Party (PDP) has called on the international community to place the Chairman of the Independent National Electoral Commission (INEC), Prof. Mahmood Yakubu and all other officials of the commission on a watch list. Every citizen of Nigeria and Nigerian Nationality home and abroad, must team up to join forces and mandate Professor Yakubu Mahmood,his able assistants of INEC mandate February 16th,2019 with all the 36 states electoral officials and the 774 LOCAL GOVERNMENTS,THE 88 MILLION REGISTERED VOTERS!!!!!!!!!!! 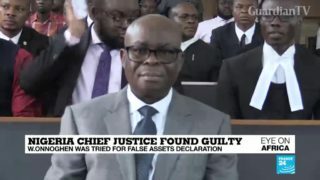 including ALL Returning officials with ALL INTERNATIONAL OBSERVERS IN NIGERIA AND AROUND THE WORLD,UNITED NATIONS ORGANISATION,CNN,BBC,VOICE OF AMERICA,RADIO NIGERIA(HAUSA,YORUBA,FULANI,AND IBO SERVICES)FOX NEWS,CBS,NBC,EUROPEAN NEWS,SKY NEWS,AIT,TVC,ARISE NEWS,THE NIGERIAN TRIBUNE,THE PUNCH,THE NEWS MAGAZINE,NEWSWATCH,PRIME PEOPLE,THE ECONOMIST,NEWSWEEK,THE GUARDIAN,THE DAILY TIMES,CNBC NEWS,CHANNELS,ITV3 NEWS LONDON AND TBN LONDON,CFAN NEWS,GOD CHANNEL, NAN,DOVE TV,OPEN HEAVENS TV,MCWE TV,CHRIST EMBASSY TV AND INSPIRATIONAL CHANNEL. 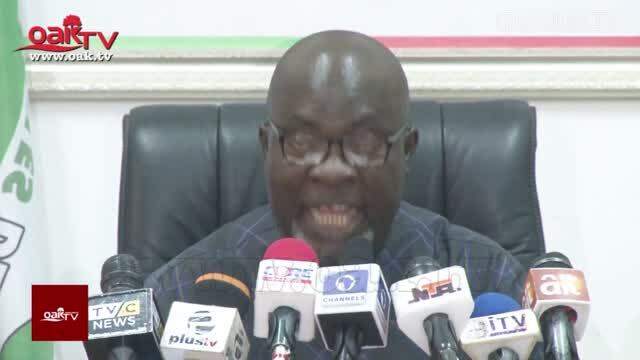 THIS FORMIDABLE COALITION OF ORGANISATIONS MUST ISSUE A 24HOUR ULTIMATUM TO INEC TO PUBLISH THE LIST OF ALL ELECTION OFFICIALS,AD-HOC STAFF ETC!!!!!!!!!!!! ALL THESE INEC OFFICIALS AND ALL OTHERS MUST ALSO BE PLACED ON INTERNATIONAL WATCH LIST AND TRAVEL BAN OUTSIDE NIGERIA UNTIL 30TH NOVEMBER,2019!!!!!!!!!!!!!!!!! !